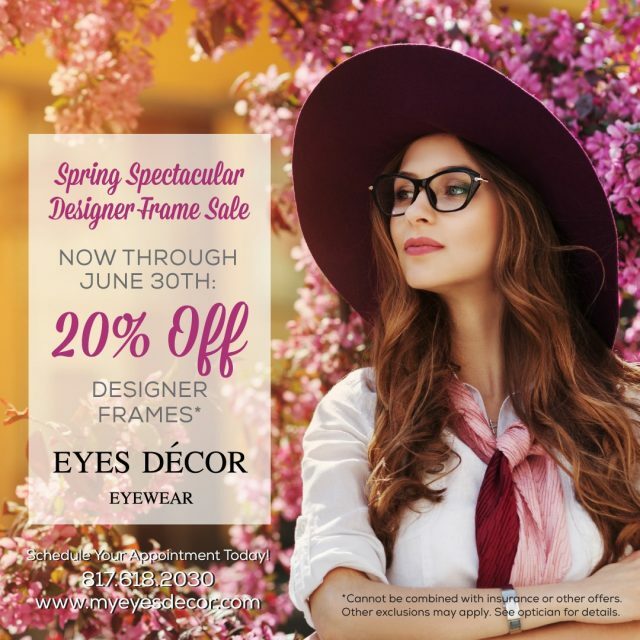 Eyes Décor is the first choice for all of your eye care needs in Parker County and surrounding areas. Not only do we offer a licensed optometrist for appointments, but we also have a large selection of the latest and greatest eyewear and sunglasses. Dr. Joli Shepard is a licensed therapeutic Optometrist, certified to diagnose and treat ocular disease, including glaucoma as well as cataract and Lasik pre/post operative care. She sees patients ages 7 and up for comprehensive eye exams, contact lens fittings and prescribing eyeglasses. Meet our team of eye care professionals who specialize in understanding how the human eye really works. We take great pride in getting to know you, as well as understanding efficiency and accuracy is paramount. We realize that looking good makes us feel good and that affects confidence. This is why we spend hours finding quality frames that will not only last the test of time, but will give you the look you want.